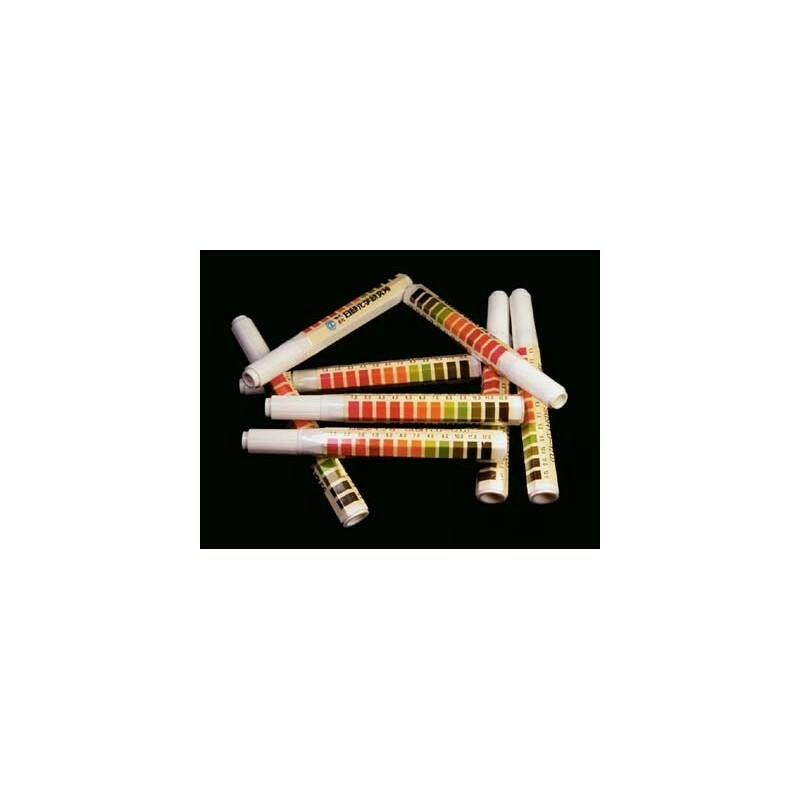 The PH INDICATOR PEN can obtain quick and accurate pH readings from 0.0 to 13.0. To use, simply draw a line on your selected paper stock. 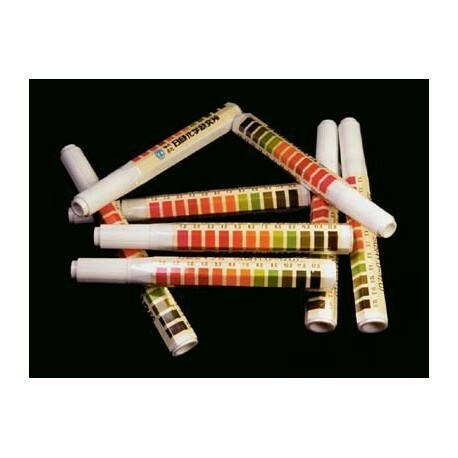 Then, match the resulting color with the color bar located on the pen barrel to indicate pH reading. Works like felt tip marker. Overall Size: 1/2"D x 5-1/8"L.